Lasers. Fog. A 10,000-square-foot arena filled with great hiding spots and more than 500 mirrors. Code names like Hamburger, Cupcake, Princess and Ninja. These are just a few of the elements that make laser tag one of the most popular entertainment activities around for people of all ages. For the past 20 years, Laser Quest Rockford has been home for laser tag enthusiasts from throughout northern Illinois and Wisconsin. It’s the site for parties, family events and corporate and church retreats. 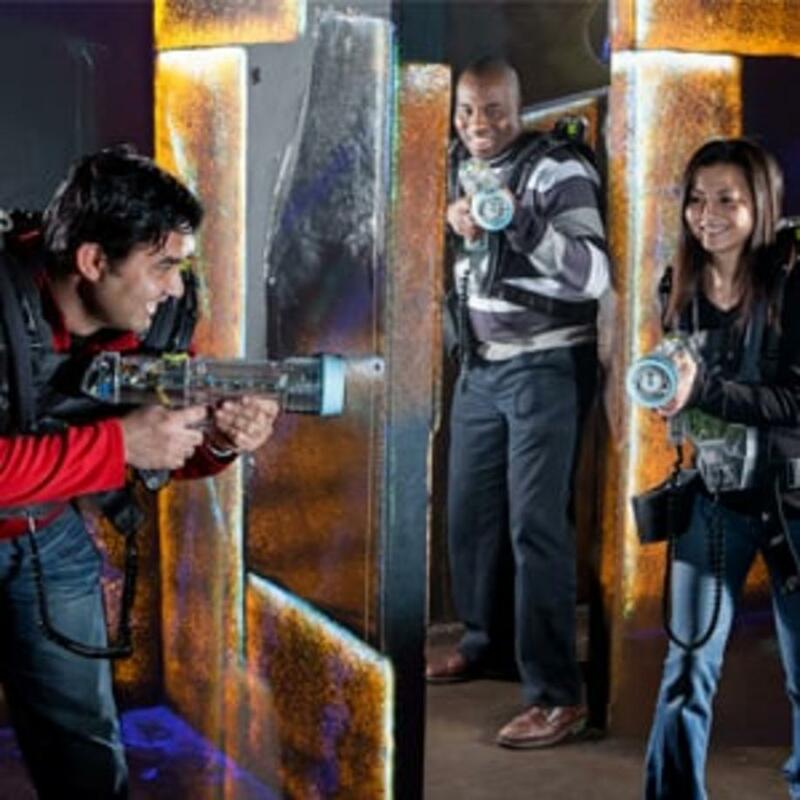 “The laser tag experience is what sets us apart,” said Chris Cameron, general manager. The corporate-owned Laser Quest is owned by Leisure Entertainment based in Canada. The company started in 1993 and opened a Rockford location three years later. Located off of Mulford Road, Laser Quest Rockford also is helped by neighboring restaurants and shopping along the State Street corridor. Laser tag is a competitive live-action game that is similar to a video game. Each player has a laser tag gun and wears an eight-pound pack that includes seven sensors. The object of the game is for participants to try to hit members of the opposing team by tagging the other players’ sensors. Games run between 15 and 30 minutes. The most points win. Bock said it’s not uncommon to see 500 guests come through the doors on any given Saturday, especially during the winter months when people are looking for an escape from the cold weather. Laser Quest also is known for Quest for Knowledge – educational field trips for students from fourth to 10th grade. The program teaches students certain aspects of science – light, sound and optics – while enjoying the fun of laser tag at the same time. Check out their Escape Room while you are there. 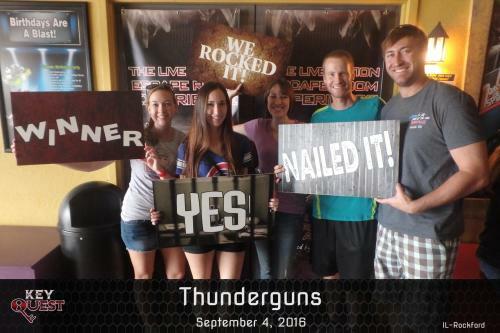 RACVB Creative Services Manager Liz Wood experienced the Escape Room last summer and reviewed here experience for us. Click here to read her story. Laser Quest is open on Wednesday and Thursday from 6 to 9 p.m.; Friday 4 to 11 p.m.; Saturday noon to 11 p.m.; Sunday noon to 7 p.m. Monday and Tuesday are reserved for special events. Overnight events are popular for groups. Reservations are recommended, especially on weekends. Games cost $9. Make it a full "kid&apos;s" day and start your day with pancakes at Johnny Pamcakes before heading over to the Discovery Center Museum in the morning. After exploring the museum, grab lunch at Woodfire Pizza downtown (check out the awesome public art scattered throughout downtown while walking to the restaurant). Then in the afternoon, head over to Laser Quest for your epic battle! This story originally appeared in the Rockford Chamber of Commerce VOICE publication. The Rockford Chamber of Commerce delivers benefit to the community by leading in the promotion of economic growth, advocating for the interests of business, and providing service and educational opportunities that help our members grow.